Posted on 23rd March 2017 at 09:07. Many business owners mistakenly believe that digital marketing is reserved only for international brands – that its reach is difficult to confine and narrow down to one specific area alone. Yet for companies who only deal with local trade, online marketing is the perfect way to reach customers nearby – and the good news is that it’s easier than trying to engage audiences further afield. Google’s algorithms enable businesses to incrementally gain credibility and therefore achieve greater exposure and relevancy. This is great news for small businesses operating locally, as it means that you only have to take the first step to achieve online success. To rank for specific services and products in certain local areas you’ll need to carefully consider your key terms. For example if you’re based in Stockport, consider Cheshire, Macclesfield, South Manchester and surrounding larger areas. Also think about the smaller towns and villages located within – such as Cheadle, Poynton, Hazel Grove and Offerton. You’ll need to optimise your site and copy to include the location or locations you choose – ensuring that content is readable and engaging as well as searchable. PPC and Adwords campaigns can be tailored to specific locations – and this can often lower the price you’ll pay, unless you opt for a sought-after area such as London. Make sure that your ad snippet is intriguing and informative enough to encourage a click-through – and that your landing pages are fully optimised to receive relevant traffic and satisfy their needs. Once you’ve begun to drive traffic to your site, it’s really important that you satisfy the needs of users, otherwise any SEO efforts will have been largely wasted. Using existing market research and your own knowledge of your customer base consider each search term, and determine why the search has been made – for what purpose. You can then tailor pages to your audience’s needs, increasing your chances of receiving a call or a sale straight away. Don’t forget that your social platforms will also help geographically relevant consumers to notice you and find you when they’re searching for a specific product or service. Make sure that platforms are well-populated and that your profiles are complete – containing sufficient information to ensure that they appear in relevant search results. 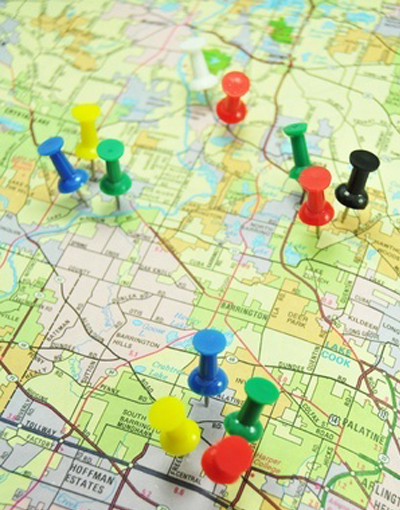 Need to reach a greater portion of your target market locally? Speak to the search experts today about how digital marketing could work for your brand.